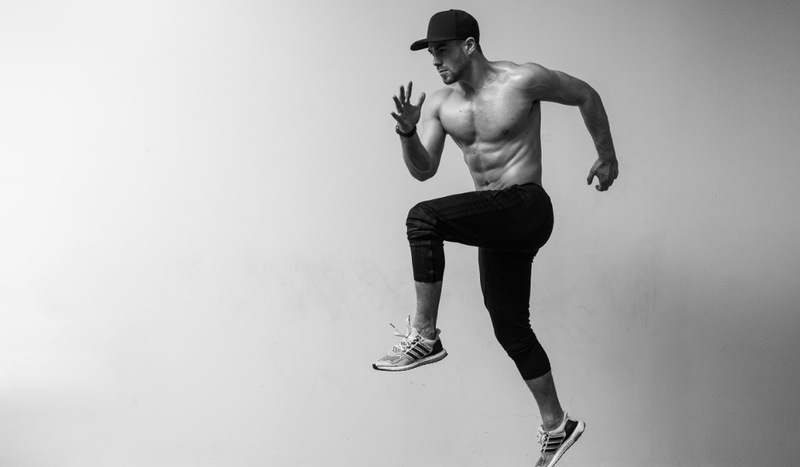 Having met the lovely and very hard working personal trainer, Bradley Simmonds at the Be:Fit festival a couple of weeks ago, he kindly agreed to share some of his fitness and nutrition knowledge with us in a recent interview. Read on to find out what he has to say. Tell us about your journey of how you became a personal trainer? I have always loved sport and left school to pursue a career in football. Unfortunately at a crucial point in my career I suffered a couple of injuries which knocked me back a little. During my recovery time I learnt a lot about strength and conditioning and began working out in the gym to build my muscle and keep my body fat percentage down. I really enjoyed it and decided to take the risk, leave my comfort zone and become a personal trainer. How has social media helped your following and your business? Social media has been a massive factor in my career. It was a platform for me to advertise my expertise, style of training and clientele for free and whenever I wanted to. At the beginning people were using it for personal reasons; I’m glad I saw the opportunity to use it for my business. It has allowed me to share what I do and motivate a huge audience of people from around the world. Without Instagram my journey would be a totally different story. You are known as a celebrity trainer, do you also have clients who are not in the public eye? Of course, although my job role has changed a lot and I do a lot of campaigns and events now. However, I have always had non-celebrity clients, they just choose not to be filmed and put on my social media pages. I have some celebrity clients that people don’t know about too, fitness is a personal thing and I respect that. Bradley Simmonds leading a training session with Toni Terry. Nutrition, as we know is very much based on each individual, but what are three important traits that everyone should stick to on a daily basis? A good breakfast to start your day, I tend to have eggs with sourdough or rye bread with tomatoes or mushrooms. Avoiding fried foods or foods containing high levels of sugar, these types of foods should be a treat and enjoyed as on occasion. Refined sugars have no real benefits, so if you can ween yourself off it then amazing. Make sure you are getting enough protein through the day, I love chicken, fish and I also have a protein shake after I work out. In your eyes, what’s the most important meal of the day? I would have to say breakfast, I try and eat within 30 minutes of waking up to kick start my metabolism. I also try and keep my blood sugar levels steady through out the day, if I don’t eat breakfast I become so hungry and that is when blood sugar levels drop and you lack in energy. How many meals/snacks do you recommend a person should eat throughout the day? I have 3 meals a day with a protein shake after a session and if I snack it is usually on fruit prior to a work out. I don’t like to constantly graze throughout the day, it’s additional calories that I don’t need as my meals are substantial enough. There is a stigma around protein shakes before/after working out. What is your opinion when it comes to an after workout protein boosts? I prefer to have my shake after I work out to help with the repair and recovery of muscles. For people who are at the beginning of their fitness journey what advice would you give them and how should they stay motivated? I would advise them to focus on 3 realistic and manageable goals. By having a goal you have something to work towards and focus on. If you sign up to a gym simply because you feel you have to, that isn’t enough to make you want to go consistently. How many days a week do you personally work out and do you allow yourself to indulge in cheat days? Every week varies as does my working schedule but I would say I train 5 times a week. I prefer to have a cheat meal rather than a cheat day. Too many cheats makes it harder to get back on track as you start getting the taste for sugars which we all know are addictive. Bradley Simmonds working the ropes. What is a typical day like for Bradley Simmonds? I get up have breakfast, either head to a client to train them or head to the gym to train myself. I build content for my social media platforms pretty much everyday too, videos, images, work out plans. I’ll then have lunch and see to emails and meetings. I like to get exercise out of the way in the morning so I am focused and set for any business meetings in the afternoon. When you have one too many rest days in a row, what advice would you give on how to get out of this rut and back into your workout routine? You’ve got to be tough on yourself, I hate excuses. Don’t let 2 days turn into 2 weeks. Even if you do 30 minutes of HIIT to ease yourself in. There are so many great classes available now too, once you sign up to a class see that as no going back, you have to turn up otherwise you’ve taken someone else’s spot. There are plenty of people who commute to and from work. After a long day in the office for example and then a journey home, how do you suggest they fit working out into their day? Firstly find a gym that is convenient, so on your route to work. Then make sure you always have your gym kit on you so that you go first thing in the morning or after work. You’ll find it a lot harder to go if you get home and sit on the sofa. Keep up to date and follow Bradley on his website, Instagram and his Youtube Channel.